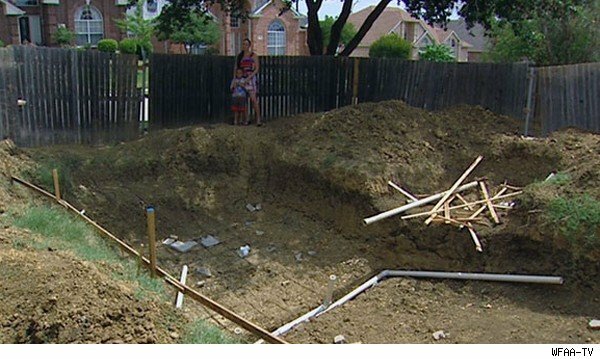 Homeowner Holly Bridges says that she was excited to commission contractor Danny Jones to build her family a swimming pool in the backyard of her Carrollton, Texas, property this year. Though it was only February, the teacher says that she was eager to get the pool built before her son's birthday party in June -- plenty of time, she thought, as she forked over a $6,000 deposit. But she was so wrong. A project that was supposed to be completed in six weeks has taken more than seven months (and counting). Where there should now be a pool in her backyard sits a gaping hole in the earth with dangerously protruding rebar (pictured above). 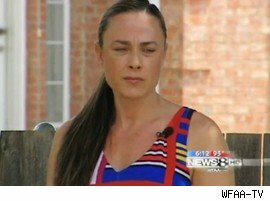 Dallas television station WFAA-TV first reported Bridges' story. (See its video below). "He had absolutely no idea what he was doing at all," Bridges (pictured at left) told AOL Real Estate. She said that she had found Jones' company, Stoney Rockworkz, online after searching for local pool contracting firms. "We obviously didn't know that at the time. His website looked professional, he sounded professional on the phone. He even sent us pictures of jobs that he'd apparently completed. We were sold." Jones' in-person behavior even came across as that of a seasoned professional contractor -- at least at first, Bridges said. He consulted with Bridges about the pool's dimensions and characteristics. They discussed the plumbing and electrical work involved in-depth. He dug the hole and lined it with reinforcement steel. And then, Bridges said, to her amazement Jones disappeared -- for a month. Though Jones would come back sporadically to chip away at the project, Bridges claims that his unprofessional behavior was too much to handle. 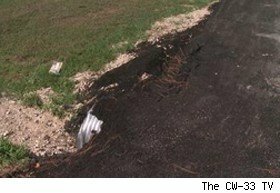 After six months of canceled appointments -- and nothing to show but a gaping hole in her backyard -- Bridges said that she just wanted to call it quits and get her $6,000 back. "I said I wanted our money back, but he won't give it back. He said he wants to finish the job now, but I can't trust his word. I just want nothing to do with him." Bridges has consulted with numerous attorneys but, she said, she doesn't have the money or the patience for that. She claims that she doesn't even have enough money to get the pool properly constructed by someone else and instead has brought in local diggers to fill the gap Jones has left. If her allegations are true, Bridges would be far from the only homeowner who has suffered from contractor cluelessness or worse. 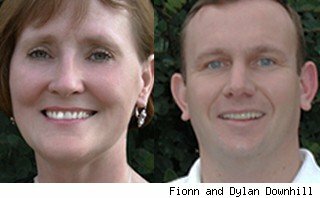 Marketing agency owners Dylan and Fionn Downhill of Scottsdale, Ariz., hired contractor Brett Laliberte, whom they found on Craigslist, to put a new bathroom in their master suite. Like Jones, the contractor came across as courteous and professional, and he began the project "reasonably well," the couple said. Or so they thought. Here's their account of what happened next: As the job drew to an end, Laliberte started to cancel scheduled workdates. At one point, he even disappeared for a week and then returned with a "black eye, looking very disheveled." The Downhills would sometimes come home to find several people, including Laliberte's girlfriend, "helping" him tile the bathroom. When the job finally came to an end, the Downhills (pictured at right) paid the balance for what looked like a decent finished product. But soon afterward, they discovered that the tile job was defective and caused flooding inside the shower. A week later, the bathroom was infested with rats, as he did not seal the wall behind the vanity unit. "We then tried to contact him to come back and fix the problems he left behind -- and that's when the fun really started," Dylan Downhill told AOL Real Estate. "His cellphone no longer worked. So then, my wife did a search on Facebook and found [Laliberte's] name. She sent a message asking that he contact us immediately due to the tiling problem and the rats. The person came back and said what on earth were we talking about -- he had no idea who we were." They said that they discovered that the real "Brett Laliberte" was actually a family man living in Alaska, and the man whom they had hired to work on their bathroom was his cousin, Grant Laliberte -- and a former convicted felon. Furthermore, he was not contactable because he had been sent back to prison. The moral of the story? "Pay more to get a licensed contractor and stay well away from Craigslist," Dylan Downhill advised. And last month, there was an account of a woman in Alabama who was also was looking for runaway contractors. They reportedly left repairs unfinished at her New Market home -- but not before collecting hundreds of dollars. According to Tracy Anton of the Better Business Bureau, these issues unfortunately happen all too frequently. According to Anton, there is no shortage of complaints filed by homeowners regarding bad contractors: whether it's dragged-out projects, shoddy work, MIA workers -- or all of the above. "The big answer is: Yes, this is a problem," Anton told AOL Real Estate. "Home improvement is one of our Top 10 complaint categories." Hicks said that for everything else, there's nothing a little Googling can't unveil. "There are a lot of great contractors out there -- but then, there are others who are unqualified or untrustworthy," Hicks said. "With a little research, homeowners will be able to tell the difference." Look up reviews on trusted online resources such as Angie's List and the Franklin Report, and check their rating and feedback on the Better Business Bureau. If there are BBB complaints against the contractor, make sure that they have been resolved satisfactorily. Also, don't be shy about checking references. According to Gary Drake, owner of Los Angeles-based contractor firm Gary Drake Construction, past work is a reflection of future work. And the more work and happy clients they have had in the past, the better chance you'll have of success. "Make sure that the contractor has been in business over 10 years, and ask him if he will allow you to contact the specific homeowners whose homes he has worked on," Drake advised. "Ask for detailed photos of that contractor's work, before and after." Most importantly, get everything in writing. This includes an estimate that is easy to understand and includes all labor and materials, a production schedule with project start date, and a copy of all warranties.